However, a fourth option exists: an external cephalic version during labor. While this is usually done on a breech 2nd twin after the 1st twin is born, it also works for singleton babies. Intrapartum external cephalic version (IP ECV) is strategy for avoiding both a cesarean and the risks of vaginal birth in a singleton breech presentation, especially for unfavorable presentations such as footling breech. Kaneti et al (2000) analyzed a prospective series of in-labor ECVs for unengaged term footling breeches with intact membranes. Of 21 eligible women, 8 chose cesarean section and 13 chose IP ECV. 12/13 versions were successful and 10/12 women gave birth vaginally. Of the two failed vaginal births, one was for cord presentation and the other for arrest of labor. The babies were turned between 2-8 cm dilatation. All women were multips; the physicians would have been willing to attempt IP ECV in primips as well, but never had the opportunity. The ECVs were done in the OR with Ritodrine and regional anesthesia when possible. The woman with an unsuccessful ECV went straight to cesarean while the twelve women with successfully turned babies received amniotomy and continued their labors in the labor ward. The one failed ECV was with a woman at 8 cm whose membranes ruptured at the beginning of the version. There was no maternal or neonatal morbidity, and all Apgars were 9 or 10. 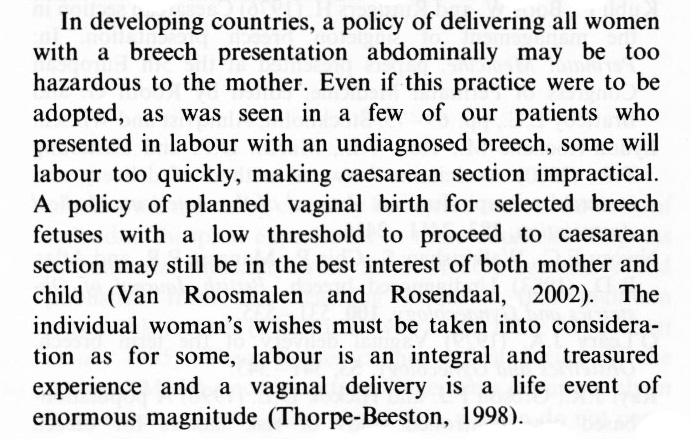 Ferguson and Dyson (1985) report on a similar series of 15 women in labor with term breech presentations and intact membranes. Earlier in the study period, they had attempted IP ECV on women with ruptured membranes, but with no success. The authors do not specify type of breech presentation, other than that the women were not considered good candidates for vaginal breech birth. 6 were primips and 9 were multips. They followed a similar protocol to Kaneti’s (versions were done in the OR under tocolysis between 1-8 cm dilation; successful versions were returned to the labor ward). 3/15 had epidural anesthesia during the version. 11/15 versions were successful (2/6 for primips, 9/9 for multips) and 10/11 women gave birth vaginally. The one failed vaginal birth was due to arrest of labor in a primip. Maternal and neonatal outcomes were good. 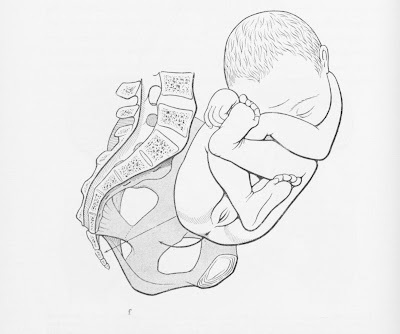 Leung, Pun, and Wong (1999) mention performing IP ECV on 5 out of 28 undiagnosed breeches in early labor, of which 2 turned successfully and both ended in vaginal births. Belfort (1993) includes a case report of a multiparous woman presenting in labor with an unengaged complete breech with both feet palpable through the intact membranes. When she was 5 cm and 70% effaced, an IP ECV was performed in the delivery room with IV nitroglycerin. The procedure was successful. The woman received amniotomy and oxytocin to restart contractions and had an uneventful vaginal birth 8 hours later. This summer I was listening to Dr. Stu's Podcast while repainting the windows on my carriage house. (Whenever I listen to something memorable, I also distinctly remember the location where I was listening--does the same thing happen to you?) It was an episode about Consent for a forced cesarean. 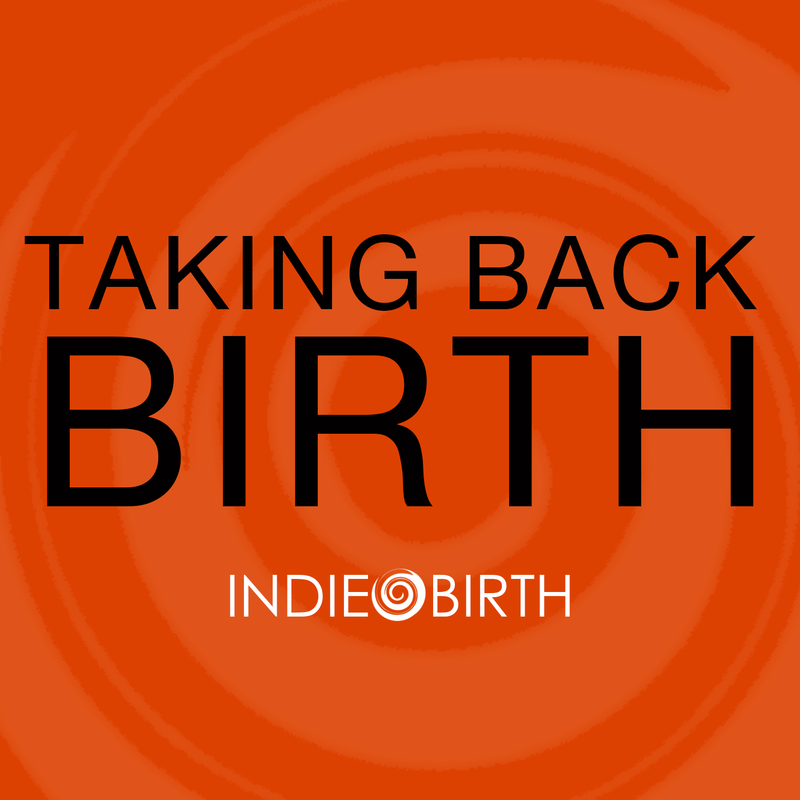 In a blog post, Dr. Stu explains why he created a consent document for women being forced into having an unwanted cesarean section due to hospital policy banning breech, VBAC, or vaginal twins. The consent form is brilliant. If all women being forced into unwanted cesareans asked their hospitals to sign this consent form before their surgery, hospital bans on vaginal birth for breech, twins, and VBACs might change overnight. The consent form documents that the woman does not consent to the surgery, that ACOG's guidelines allow for vaginal birth in these situations and forbid the use of force or coercion, and that the hospital will be responsible for any complications due to the surgical birth, both short- and long-term. Dr. Stu has invited everyone to download, edit, and distribute his consent form widely. ps--I would suggest adding ACOG's 2016 Committee Opinion on Refusal of Medically Recommended Treatment During Pregnancy to the list of references. We had a relaxed birthday party this year. I didn't even try to do something as amazing as last year's outdoor obstacle course. This time we baked cupcakes and bought lots of toppings...and that was it! The kids played indoors, since it was raining the entire day. They slid down the stairs on a mattress, danced with a strobe light, and played hide & seek and sardines. 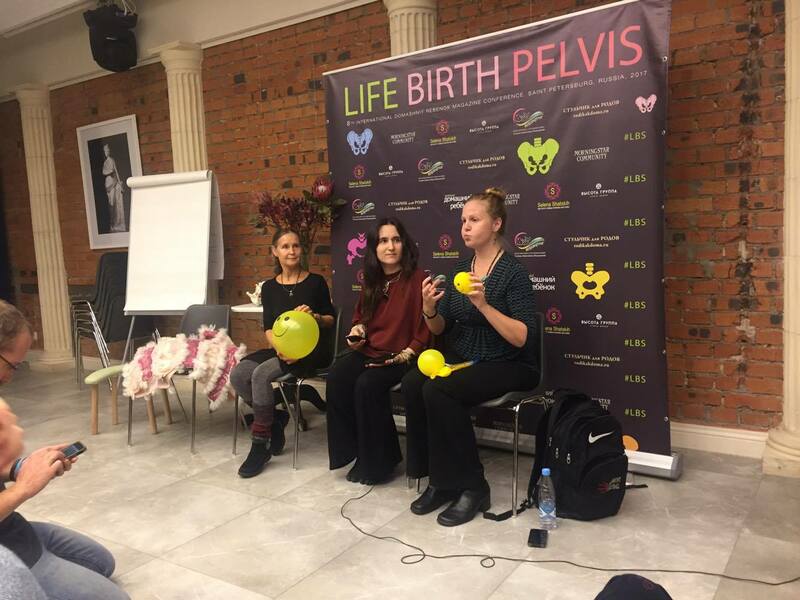 What an amazing week I just spent at the Life Birth Pelvis conference in St. Petersburg, Russia! It was challenging and overwhelming (in a good way). This is the 8th international conference that Katerina Perkhova has organized. 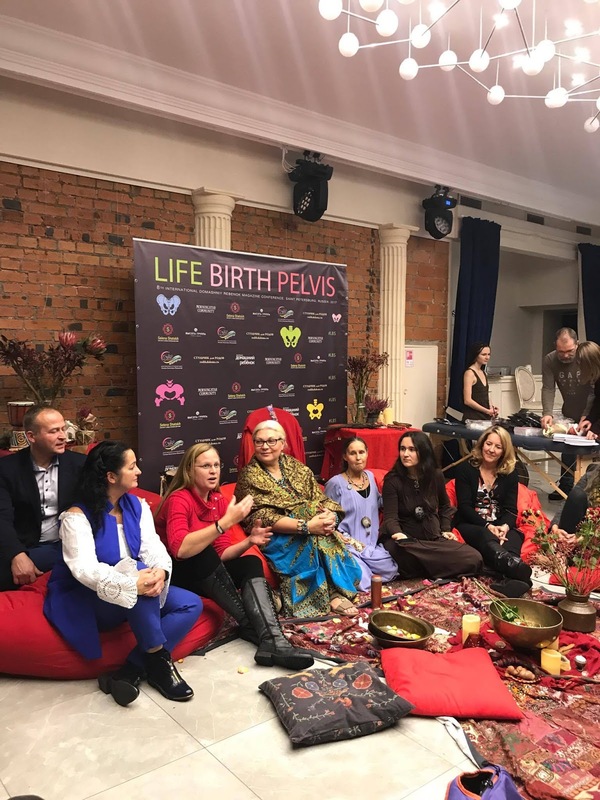 I gave two presentations on breech birth: one on the history of maneuvers from 1609 to the present, the other on evidence on term breech since the Term Breech Trial. Everyone involved with breech birth in North/South America, Europe, Australia/New Zealand, and many parts of Africa and Asia is familiar with the Term Breech Trial. But not Russia! "What is this Term Breech Trial you are speaking of? We have never heard of it." I had to explain the background and significance of the TBT in order for my presentation to make sense. Conversely, Russians were quite familiar with Tsovian, aka the Tsovyanov. I suspect they were surprised we didn't know about him! I have now discovered 15 obstetric journal articles about his methods in Russian, Czech, Hungarian, Polish, and--in one case--Spanish. I also found contemporary Czech textbooks that mention Tsovian (spelled Covjan--sneaky Czechs making it harder for me!) and a Dutch article examining whether Bracht's or Tsovian's methods came first. I was puzzled at how hot and cold water were frequently suggested as remedies. Your newborn needs resuscitation? Use hot and cold water! Is your premature baby having a hard time nursing? Hot and cold water! I didn't fully understand this concept until I did a full Russian sauna on the last night of the conference. This includes going naked into the sauna, being beaten with bunches of oak leaves (it feels heavenly, like the heat is being beaten deep into your body), and then plunging into an ice-cold pool of water. And then doing it again several times. After the fourth cycle, I got the biggest endorphin rush of my life--comparable to being in labor. You know the dizzy, buzzing, high feeling you get all over your body between contractions? That endorphin rush. It lasted for about 2 hours. And then I got it. 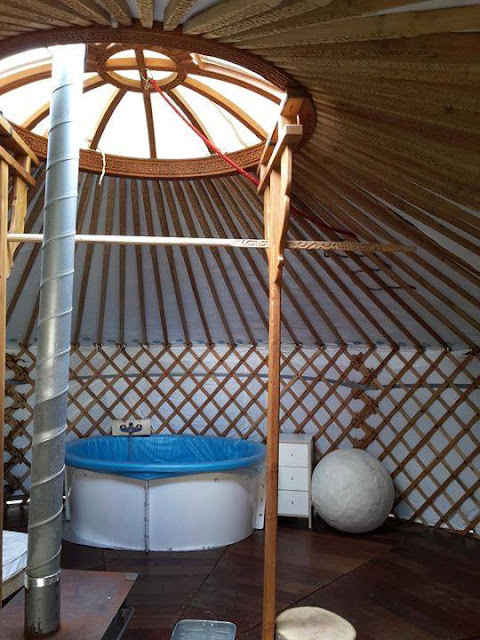 Hot and cold water as therapeutic? As a way to maximize health and well-being? Yes, for sure! 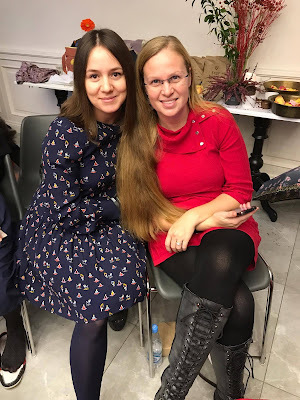 I have a friend here in the States who is a Russian translator, and she says that Russians often use the expression "tempering the baby," as one would temper steel with repeated applications of heat and cold. In Western (is that the right word?) obstetric practice, we're concerned about getting the baby warm and dry immediately. Allowing a baby to be cold and/or wet is absolutely verboten. Maybe we could learn something from the Russian use of hot and cold water. This was the most right-brained conference I have ever attended. We had one "normal" conference room with rows of chairs and a projection screen for Powerpoint slides. This is where I gave my two breech lectures, a talk on unassisted birth, and a session on newborn resuscitation with Sister Morningstar. 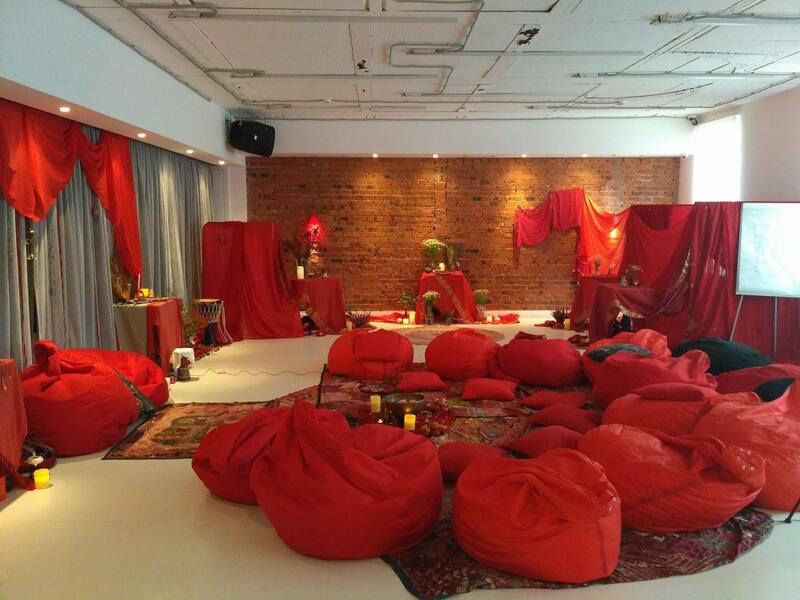 But our other conference room was a Red Tent room. 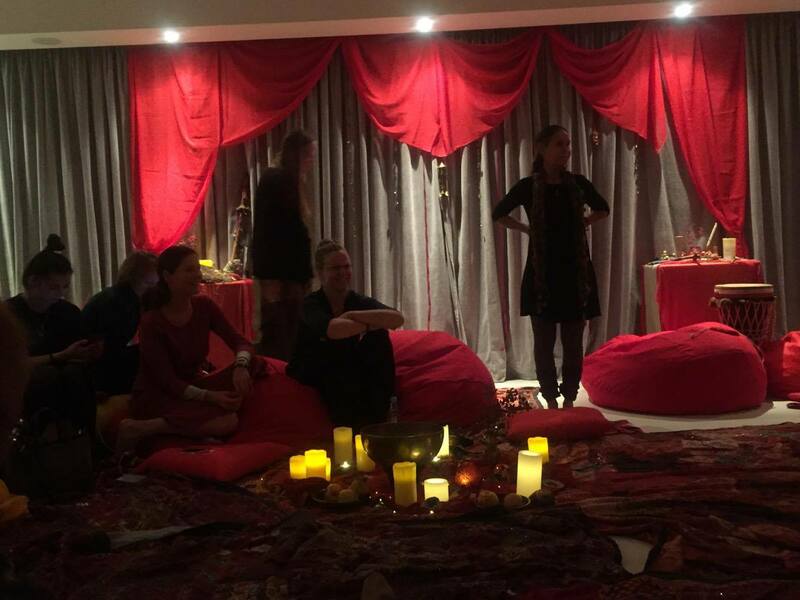 The walls were draped with red fabrics, the chairs were replaced with bean bags, and candles and incense and altars took the place of projectors and pointers. The floors were covered with intricately embroidered fabrics. 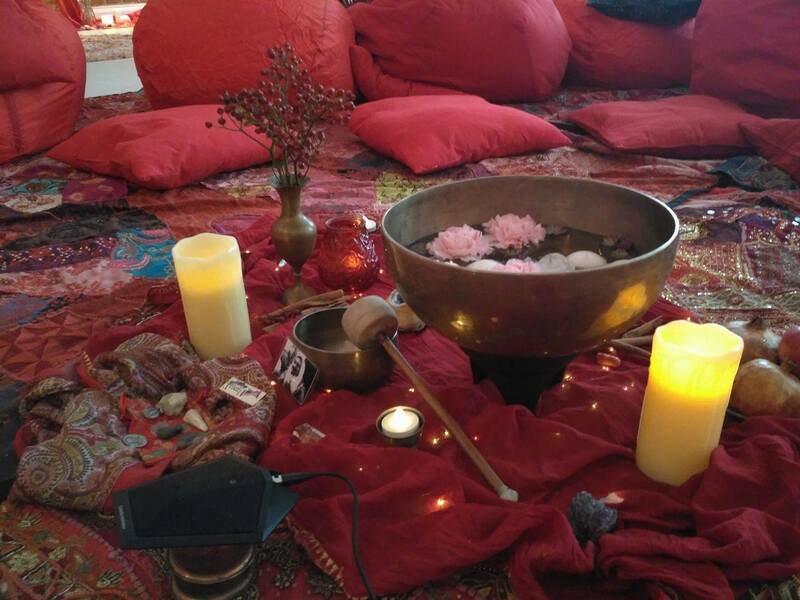 In the corners were private alcoves for doing yoni steams, draped on all sides with red fabric. Days were partially left-brained, partially right-brained, but evenings and nights turned magical and mystical. Sometimes intimate and sacred, sometimes raw and brutally honest, but always healing. 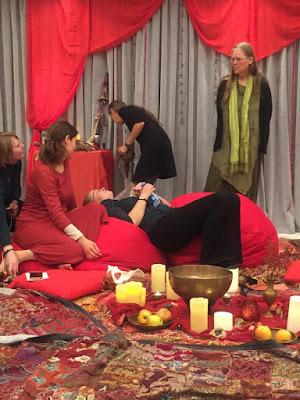 Having Sister Morningstar, a Cherokee midwife, to lead the evening sessions was an honor. 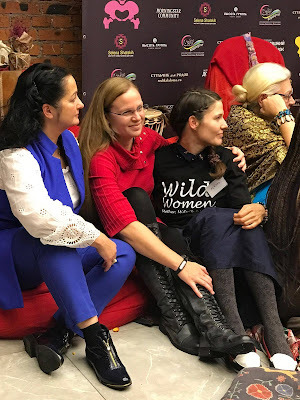 I've been quite cynical about religion lately, and these five days were a reminder that women have tremendous spiritual power and that spirituality in its widest sense is so much grander than anything one religion can offer. If you're in or near Portland, you might like to attend this event I am speaking at on Nov 12. Space is limited, so you must RSVP to reserve a spot. Details below. This session will share information regarding the history of breech maneuvers from 1609 to the present. 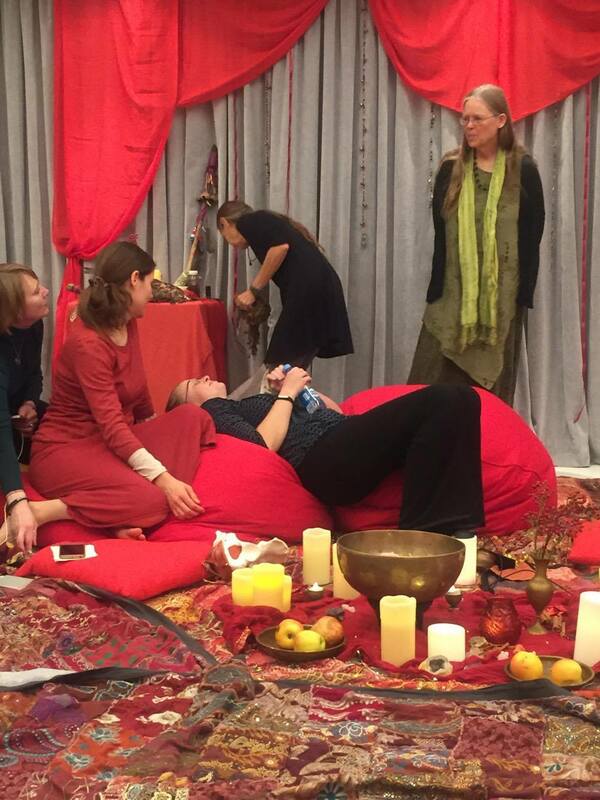 The presentation begins with a historical journey through obstetrical maneuvers for breech presentation. It documents every maneuver that has been uncovered by Rixa's research, tracking them back to their original inventors and dates, when possible. Next, she looks at current innovations in upright breech birth. The presentation tracks how knowledge about upright breech birth emerged and converged over the past several decades. Rixa will describe the key principles of upright breech birth and the physiological mechanisms of normal breech birth. She'll then review the maneuvers that have been invented to deal with stuck heads and arms when the mother is upright. The session will also cover the evidence on term breech since the 2000 Term Breech Trial. Whenever I pull Michel Odent's book Birth Reborn off the shelf, it feels like phoning a dear friend after a long absence. We catch up on life and I remember why I enjoy this person so much. Michel Odent is a French surgeon and obstetrician who was in charge of the Pithiviers Maternity Unit for over 20 years. 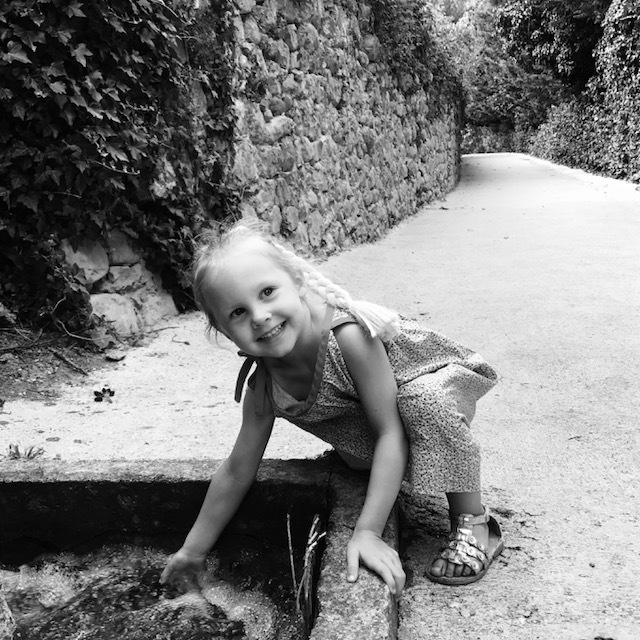 At a time when cesarean rates were rising and births in France were highly medicalized, Odent turned the maternity wing at his state hospital into a haven for undisturbed, physiological birth. Most of his changes were low-cost and low-tech: creating an environment in which women were private and completely undisturbed during labor. He replaced delivery tables with big, low mattresses and cushions, birth pools, and simple furniture to aid spontaneous movement. His maternity unit had a 6-7% cesarean rate during the 1970s and 80s, even though it accepted an unscreened population. Finally, within the realm of labor and birth, one quickly learns to expect the unexpected. Sometimes a woman will have a quick and easy labor when professionals believed only a cesarean was possible. For example, women who have previously had a cesarean are sometimes told that they will always give birth that way. Yet at our clinic, one out of two women who have previously had cesareans succeed in giving birth vaginally. Nor do breech deliveries always justify the operation, although this has, nevertheless, become almost the rule in many conventional hospitals. From our experience with breech babies, we have found that by observing the natural progression of first-stage labor, we will get the best indication of what to expect at the last moment. This means we do nothing that will interfere with first-stage labor: no Pitocin, no bathing in the pool, no mention of the word "breech." If all goes smoothly, we have reason to believe the second stage of labor will not pose any problems. Our only intervention will be to insist on the supported squatting position for delivery, since it is the most mechanically efficient. It reduces the likelihood of our having to pull the baby out and is the best way to minimize the delay between the delivery of the baby's umbilicus and the baby's head, which could result in the compression of the cord and deprive the infant of oxygen. We would never risk a breech delivery with the mother in a dorsal or semi-seated position. If, on the other hand, contractions in the first-stage labor are painful and inefficient and dilation does not progress, we must quickly dispense with the idea of vaginal delivery. Otherwise we face the danger of a last-minute "point of no return" when, after the emergence of the baby's buttocks, it is too late to switch strategies and decide on a cesarean. 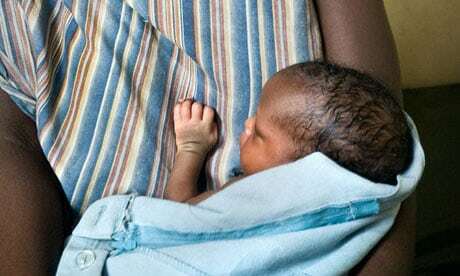 However, although we always perform cesareans when first-stage labor is difficult and the situation is not improving, most breech births in our clinic do end up as vaginal deliveries. 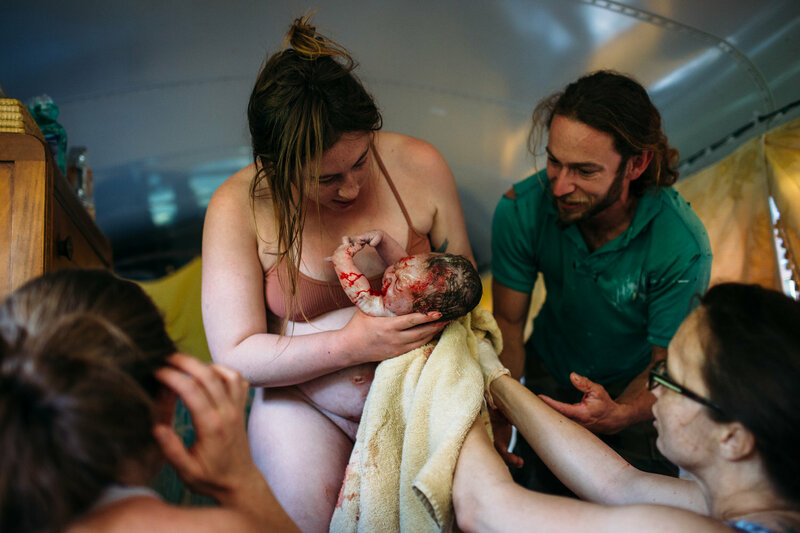 Here is a brief video of a breech birth at Pithiviers. Notice that the baby does not rotate to sacrum-anterior after the trunk is born (the most likely culprit is a nuchal arm). Odent steps in right away and frees the arm. The baby is born very quickly. English obstetrician Benjamin Pugh (1715-1798) is best known for inventing curved obstetric forceps and for his 1754 book A Treatise of Midwifery (PDF). He is less well known for innovating two ways to bring oxygen to a breech baby with a trapped after-coming head. 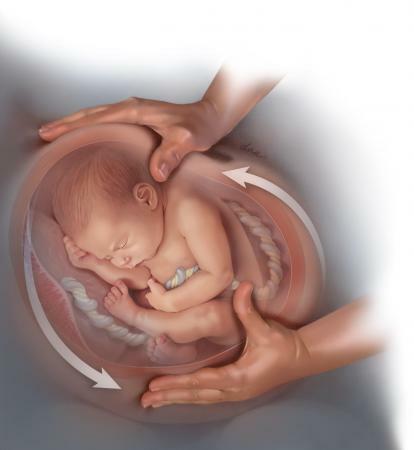 Pugh first created a flexible curved air-pipe, which would be inserted into the baby's mouth to the larynx. He next innovation was to create an airspace by manipulating the soft tissues inside the baby's mouth, with no need for the air-pipe. Below is an excerpt from Benjamin Pugh: the air-pipe and neonatal resuscitation (PDF) by Thomas F. Baskett in Resuscitation May 2000;44(3): 153-155. Pugh emphasised the risk of asphyxia to the fetus during delivery of the after-coming head of the breech saying ‘‘…every operator must know there is difficulty, and grave danger of losing the child by its stay in the passage; by my method of giving the child air, I have saved great numbers of childrens’ lives, which otherwise would have died’’. Furthermore, Pugh goes on to give a remarkable early description of mouth-to-mouth respiration. Announcing our newest baby K. Kawai, measuring 6'8" (2 meters) and weighing in at a whopping 772 lbs (350 kg). We found a lovely church putting her up for adoption far below market value. She traveled all the way from Dayton, OH to join our family. Ivy and Eric were present for the delivery. What an experience! It was a battle going up the front stairs, but fortunately both home and baby are doing well. K. Kawai has her first well-piano visit next Monday. So far she's been playing like a champ, so she should only need minimal tuning. Last month K. Kawai's older sister (7'6") had to rejoin her grandparents back in Minnesota. The house has been far too quiet since she left. We are so in love with this sweet girl. 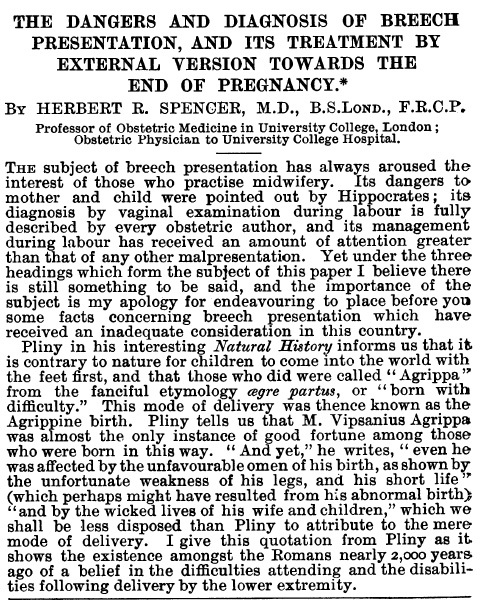 My most recent discovery while digging through medical archives: a 1901 British Medical Journal article about about breech presentation by Dr. Herbert R. Spencer, an obstetrician in London. 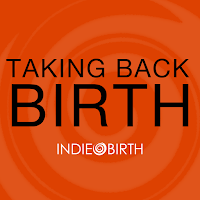 He writes about the risks of breech birth, which to a modern reader, are astonishingly high. He strongly advocates for external cephalic version as a solution to the dangers of breech presentation. While the middle of the paper was informative, the beginning and end, quoted below, were brilliant. I enjoyed his dry sense of humor and his ability to capture the reader's interest. The full text is available here for free download. THE DANGERS AND DIAGNOSIS OF BREECH PRESENTATION, AND ITS TREATMENT BY EXTERNAL VERSION TOWARDS THE END OF PREGNANCY. By HERBERT R. SPENCER, M.D., B.S.LoND., F.R.C.P. Professor of Obstetric Medicine in University College, London; Obstetric Physician to University College Hospital. Pliny in his interesting Natural History informs us that it is contrary to nature for children to come into the world with the feet first, and that those who did were called "Agrippa"' from the fanciful etymology aegre partus, or "born with difficulty." This mode of delivery was thence known as the Agrippine birth. Pliny tells us that M. Vipsanius Agrippa was almost the only instance of good fortune among those who were born in this way. "And yet," he writes, "even he was affected by the unfavourable omen of his birth, as shown by the unfortunate weakness of his legs, and his short life" (which perhaps might have resulted from his abnormal birth) "and by the wicked lives of his wife and children," which we shall be less disposed than Pliny to attribute to the mere mode of delivery. I give this quotation from Pliny as it shows the existence amongst the Romans nearly 2,000 years ago of a belief in the difficulties attending and the disabilities following delivery by the lower extremity…. [External cephalic version], of course, involves the necessity of the patient's being examined during pregnancy, a necessity which is not recognised by all doctors or patients. Yet it is time that this examination became a routine practice, for without it patients and their infants are occasionally brought into the greatest peril, and not rarely lose their lives. 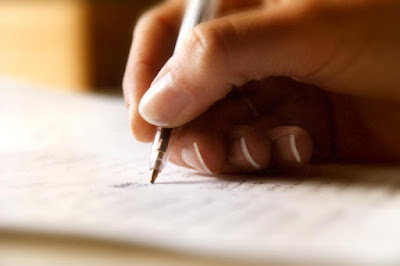 As a result of this routine examination conditions may be recognized which can be obviated by timely interference. I believe the presentation of the breech to be one of these conditions; and I am sure that its treatment by external version during pregnancy is so free from objection that it is worthy of extensive trial. It is in the hope that others may be induced to practise it that I have ventured to publish such a small number of cases. It would be a great gain to be able to prevent this dangerous presentation, and to be sure that the child would always present by the head; for, in the words of Pliny, it is natural for man to come into the world by the head and to be carried to the grave by the feet--"Ritu naturae mos est capite gigni pedibus efferri."